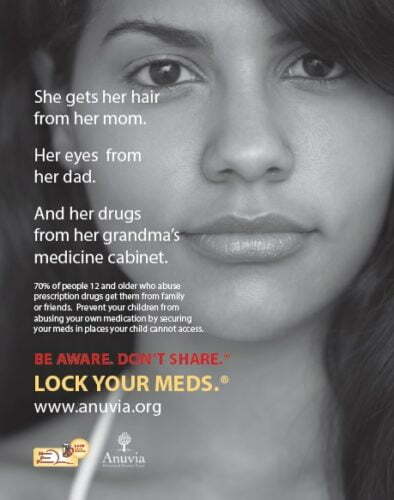 To promote awareness of prescription drug abuse in Mecklenburg County, Anuvia has launched the Lock Your Meds® campaign. Lock Your Meds® , created by the National Family Partnership, is a campaign aimed at promoting safe storage and disposal of prescription drugs among parents. Click here to learn more about the campaign and how you can help to reduce prescription drug abuse.